Making Richmond the most active region in the nation. I’m looking for new ways to get active. What’s out there? From places to ride your bike to fun events and sports clubs, we’ve got it all. We can build more active communities. What's happening in Richmond and how can I plug in to make RVA more active? Ramping up physical activity at your company can make for more vibrant, more effective workplaces. And healthier coworkers. Our kids spend the majority of their days in school. How can we make their classrooms livelier and their bodies healthier? The growth and success of Active RVA depends on the entire community, including YOU! There are countless ways to get involved. If you have time, volunteer. If you have funds, donate. And if you have questions, ask them. 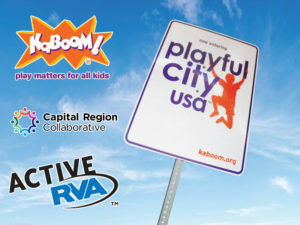 There's a ton happening to make Richmond a more active region, and you can help!